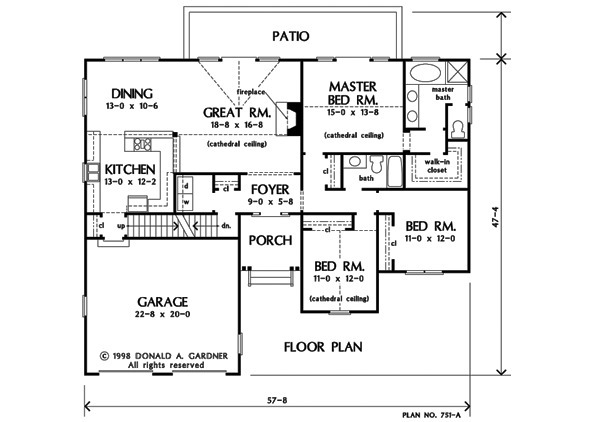 Attractive and affordable, this striking traditional packs a lot of curb appeal into a compact floor plan. Bold, front facing gables and arched windows add elegance and stature. A space-enhancing cathedral ceiling expands the great room, dining room, and kitchen - all open to one another for an open, casual atmosphere. 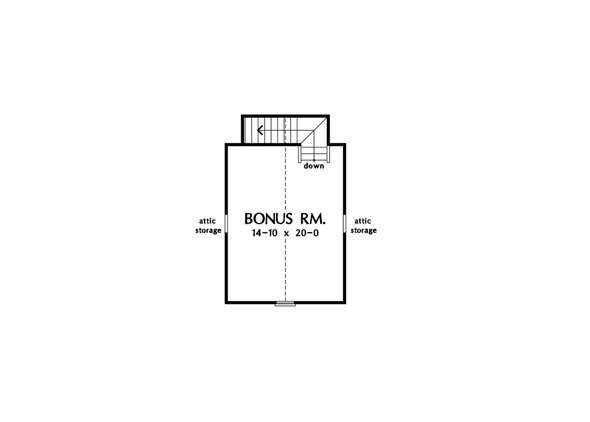 The efficient U-shaped kitchen positions sink, stove, and refrigerator in perfect proximity. The front bedroom and the master bedroom also feature cathedral ceilings for added spaciousness. Both great room and master bedroom allow access to an optional rear deck or patio. A bonus room over the garage stands ready for future expansion or added storage. 1st Floor: 1658 Sq. 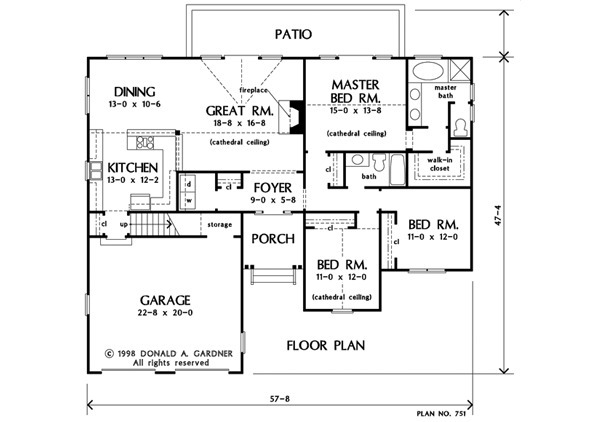 Ft.
House Dimensions: 57' 8" x 47' 4"
Great Room: 18' 8" x 16' 8"
Master Bedroom: 15' 0" x 13' 8"
Foyer : 9' 0" x 5' 8" x 9' 0"
Dining Room (Vaulted): 13' 0" x 10' 6" x 18' 6"
Great Room (Cathedral): 18' 8" x 16' 8" x 18' 6"
Kitchen (Vaulted): 13' 0" x 12' 2" x 18' 6"
Utility Room : 5' 6" x 5' 8" x 9' 0"
Bonus Room (Cathedral): 14' 10" x 20' 0" x 12' 4"
Garage : 22' 8" x 20' 0" x 0' 0"
Garage Storage : 13' 2" x 3' 8" x 0' 0"
Master Bedroom (Cathedral): 15' 0" x 13' 8" x 15' 0"
Bedroom #2 (Cathedral): 11' 0" x 12' 0" x 15' 4"
Porch - Front : 4' 0" x 8' 4" x 0' 0"